When the bride mentions red velvet more than once in a conversation, it’s something worth exploring. 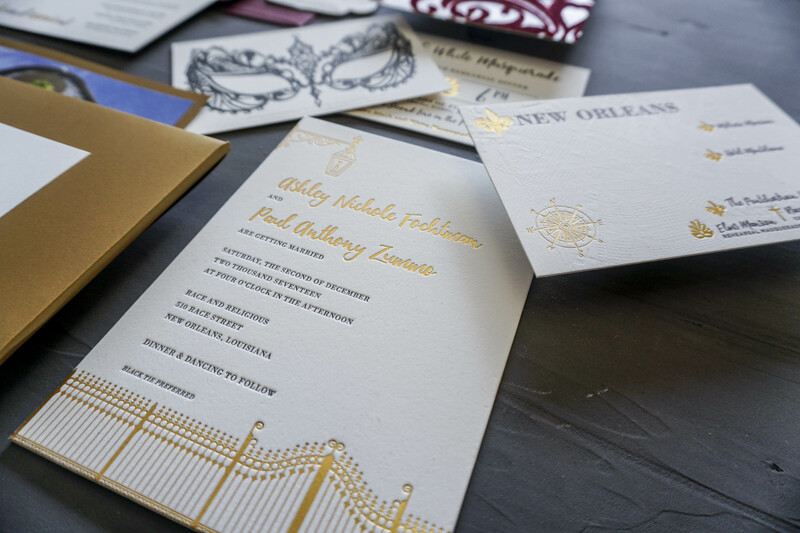 And when we did, we came to a textural focal point – a red velvet damask paper on the back of Ashley and Paul’s invitation serves as a gift to their guests – a piece of art and a token of solidarity over the memories they would share that weekend in New Orleans. 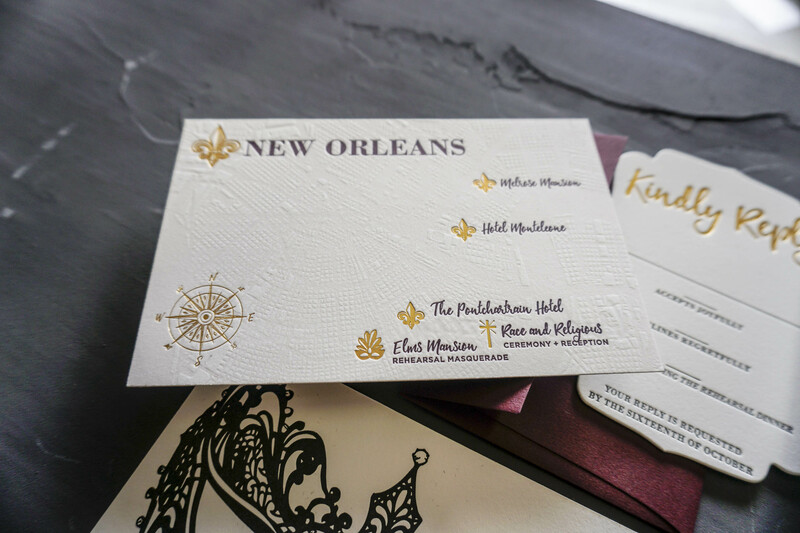 I believe contrast is the key to interest, so we played with contrast in a few ways – in the texture of the velvet as it complements the toothy cotton paper on the front of the invitation. 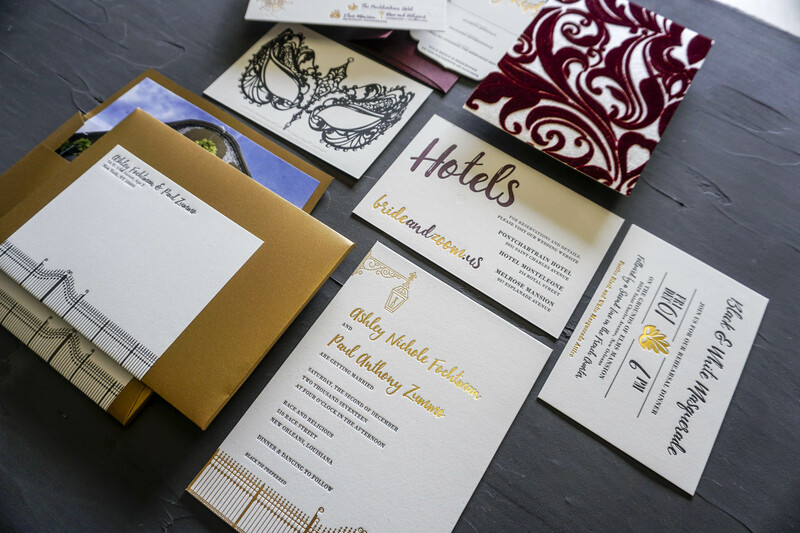 In the curved lines of the RSVP contrasting the squareness of the rest of the suite. 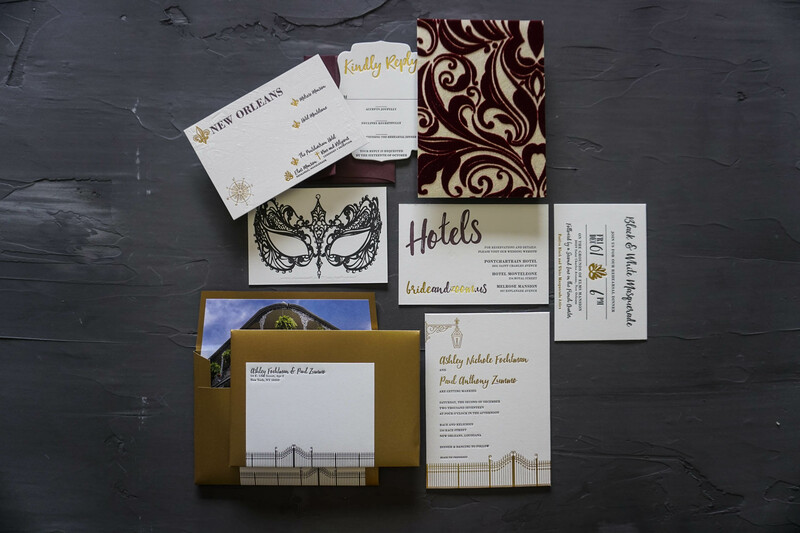 In the bright, colorful envelope lines (a photo of the venue taken by the groom on a getaway to the French Quarter) compared to the gem tones and soft whites found elsewhere. 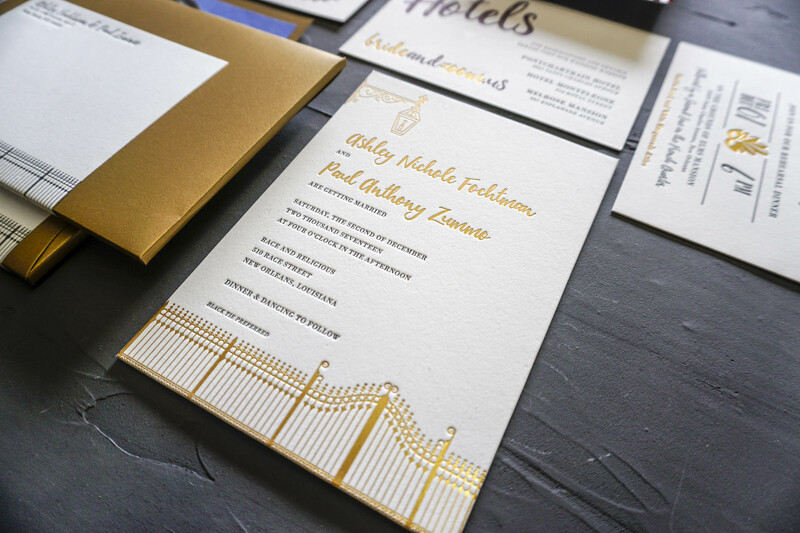 Click here to see images from this stunning wedding. Starting at $6,500 per 100.